But now, there is a time-honored tradition which must be obeyed and that tradition has come around again. The great month of November is here and that giant maw of writing has opened again for me to put my foot in… yes, folks. 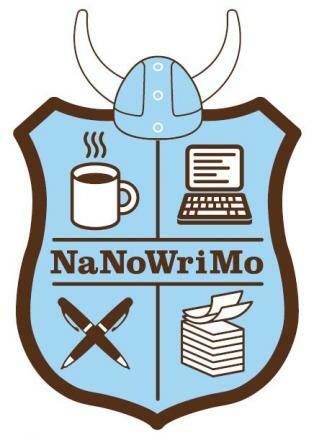 It’s time for NaNoWriMo. National Novel Writing Month. 50,000 words in one month and I’m at it again. So today began the madness and after one day I am on 4060 words. Not bad for a bad start. That’s right, what a crap start I had. I don’t even know if I like the place my novel started, but at least its begun. I had a project I wanted to take on, a character-driven experimental piece that had brewing in the back of my head, and I’m trying to kick it out. More about it as it develops but as I was out sick today from work, I thought I would get a whole lot of writing done. Turns out instead that the less structure I have on a day, the less I actually get done with my fool self. So what did I actually do but a lot of nothing until 10PM. And then at 10PM? 4060 words. The project has a tentative name so far. “Prisoner Sixy-Three is Missing” is the name. It’s kind of tentative naming. But it’s underway. Yaaaaay NaNo! To all those joining me in the madness – let’s get cracking.